My 3 year old really loves to color and it is something I enjoy doing with him. My son gets distracted by the characters in the coloring books that he has and doesn't want to color on his favorite characters so I started making really simple coloring pages for him so that he can express his creativity without having to fight him about coloring in a coloring book. I have a few Valentine's Day themed printable coloring pages to share with you in the next few days. I hope your kids enjoy coloring them as much as my son has! 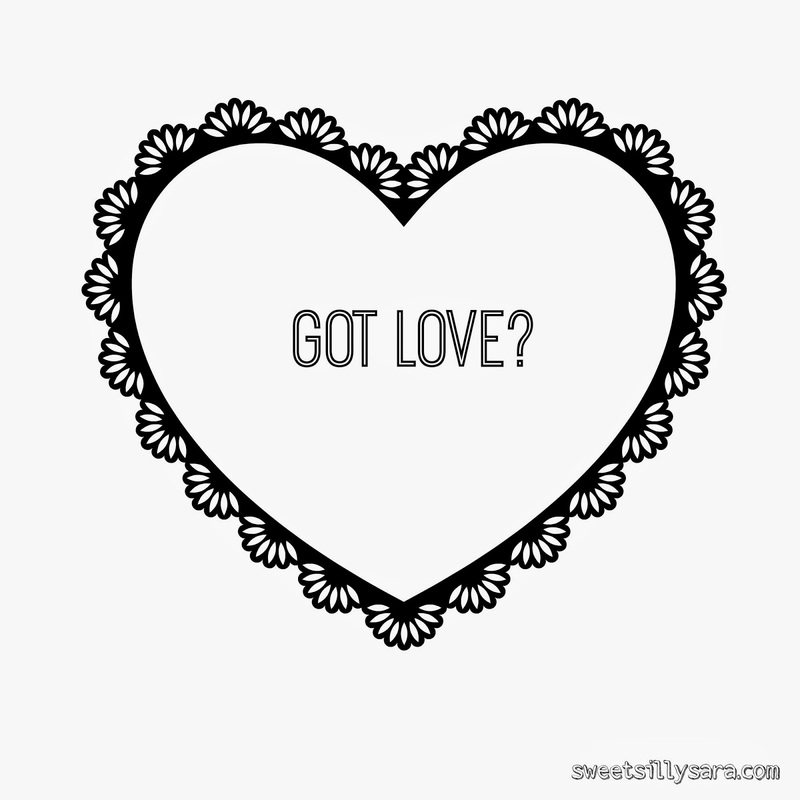 Print the Got Love? Coloring Page. Happy Valentine's Day from the Sweet Silly Sara blog!